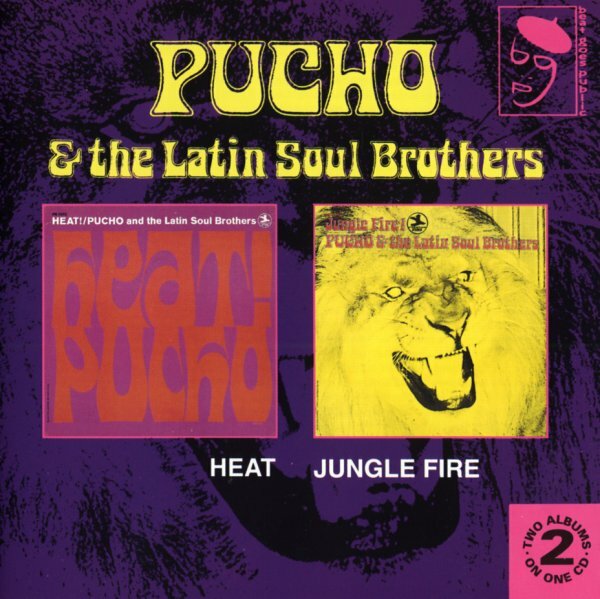 A pair of killers from Pucho & The Latin Soul Brothers – back to bck on a single CD! First up is Heat – a record that's beyond definition – as it combines Latin, soul, jazz, and even a few funky touches – all into one totally amazing sound! This one really gets all the elements right – and the fantastic Pazant Brothers (Eddie & Al) are on sax and trumpet (respectively), and a young Neal Creque is on piano, really bringing a sharp edge to Pucho's groove that other Latin combos of the time never had – and the set also features some vocals by Jackie Soul on a few cuts, who's a great singer that really helps cross a few cuts over into Latin Soul territory. Titles include the soul jazz cuts "Heat" and "Psychedelic Pucho", plus other great Latin soul cuts, like "Payin' Dues" and "Candied Yam". Jungle Fire is one of the greatest albums by this funky Latin combo! The record differs from some of their earlier Prestige albums in that the tracks are longer, more instrumental, and have a hard fuzzy electric groove. The band jams hard in a way that's more like some of the funk combos of the early 70s, than the Latin groups from which they came – and that's no problem by us, because the results are wonderful! Includes two funky numbers written by Sonny Phillips – "The Spokerman" and "Jamilah" – plus a great extended cover of "Cloud Nine". Great horn work from the funky Pazant Brothers, plus Seldon Powell, who also plays flute and tenor on the album – and other jazz funk stars on the album include Bernard Purdie, Billy Butler, and Neal Creque, Pucho's right hand man! © 1996-2019, Dusty Groove, Inc.